Want a more affordable condo unit in the heart of Muntinlupa City? The Urban Deca Homes Campville Muntinlupa City is another of 8990 Holdings, Inc.’s mass housing project made up of 12- buildings. 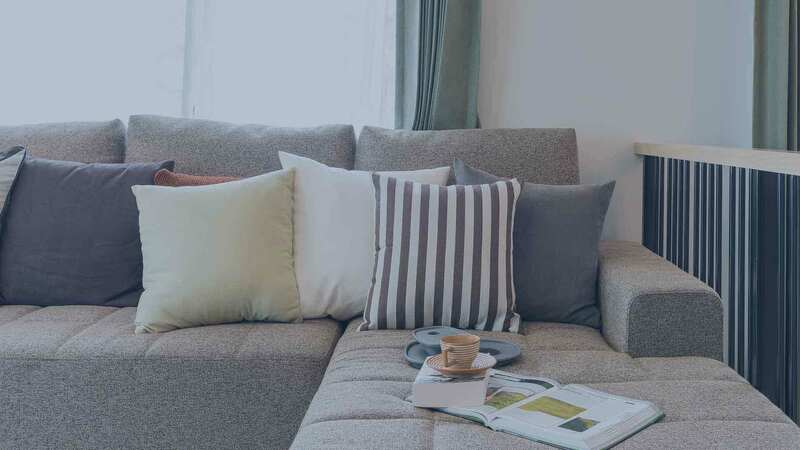 These medium-rise condos in Muntinlupa City are just perfect for budget-conscious households but still want decent and convenient living within the confine of the metro. Truly affordable, and still made from quality materials with well-designed facilities and building features, the units offered are equally stunning. Each building has 4 floors of residential units which total only 1,024 for the entire residential development. The amenities are also well-suited for enhancing lifestyle changing activities which could rival those medium-class residential developments across the land. This new community sits in a 2.6-hectare of land just 600 meters off the coast of Laguna de Bay on its eastern side, while the mighty SLEX is just a mere 200 meters to the west. The Urban Deca Homes Campville is specifically situated along Km. 23, East Service Road, Muntinlupa City. The site has for its immediate neighbors the Fortune Life Academic Group Incorporated, PAREF- Southridge School, Inc., Muntinlupa Business High School, Uratex Foam, Sharp Philippines Incorporated, Liberty Commodities Corp., International Elevator and Equipment Inc., Logwin Air + Oceans Philippines, Inc., SP One Source Solutions, Inc., Our Lady of Mt. Carmel Academy, Soriano Resort, Villa Constantino Resort & Pavilion, Iglesia ni Cristo, and many other establishments located near the vicinity of the project. Further down south at less than 2km, Alabang’s (the premier district of Muntinlupa City) central commercial district could be found. Here, more establishments are located, like the Starmall Alabang, Research Institute for Tropical Medicine (RITM), Asian Hospital and Medical Center, Ospital ng Muntinlupa, the South Station Transport Terminal, S&R Membership Shopping, Alabang Town Center, Filinvest Mall, the SM Southmall, and other of Alabang’s famous destinations. DECA Homes Urban Deca Homes Campville in Muntinlupa City, Philippines is a premier Condo project available for sale. If you're looking to rent or purchase Urban Deca Homes Campville, then check here first. We have full details of Urban Deca Homes Campville updated regularly as well as everything you need to know about the availing and booking process, broken down into stages that includes selecting a unit, choosing a payment plan and buying your dream home at the right price. For price list, free site tripping or showroom visit, personalized service, model house, unit plans, floor plans, payment terms, CHAT LIVE with an agent 24x7. We are Remax Perfect Homes. Always only buy from PRC licensed Real Estate Brokers and Agents. The Urban Deca Homes Campville is not only an affordable condo in Muntinlupa City, it is also one of the safest among the low-cost housing units in this area. Each unit is equipped with automatic fire and smoke detection, and sprinkler systems, standby generator units, efficient water distribution and storage system, fire exits at strategic places, CCTV surveillance cameras at selected areas, perimeter fence, 24/7 security, and other basic security features. Many of the investors that have already put their stakes at the Urban Deca Homes Campville are working couples working in the financial center of Makati, the central business districts of BGC and Alabang. These areas have an average 30 minutes (except Alabang which is only 15 minutes away) of travel distance from this condo in Muntinlupa, one way. Raising a family in a place like the Urban Deca Homes is every Filipino family’s dream. It is now your chance to fulfill yours. Owning a part of this affordable condo in Muntinlupa City is also one of the easiest on your budget. No spot cash? No problem. 8990 Holdings just made payment easier through home financing package which can either be through Pag-Ibig or through the company’s innovative in-house finance program. This features an affordable reservation fee and the lowest down payment. Contact our friendly real estate agents on this website regarding these even more affordable payment schemes.